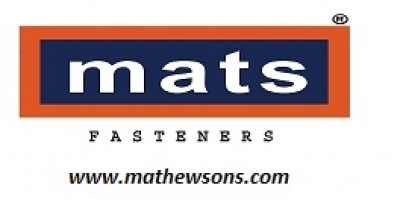 'mats' is one of the leading fasteners in Kerala and all over India. It has 40 years legacy with various clients in India as well as all over the world. We provide the best quality products to our clients and there are different types of products under mats such as mats self-tapping screws, self-drilling screws, mats drywall screws, mats rivets, all csk philips head screws and so on. We provide screws as per customer requirements.